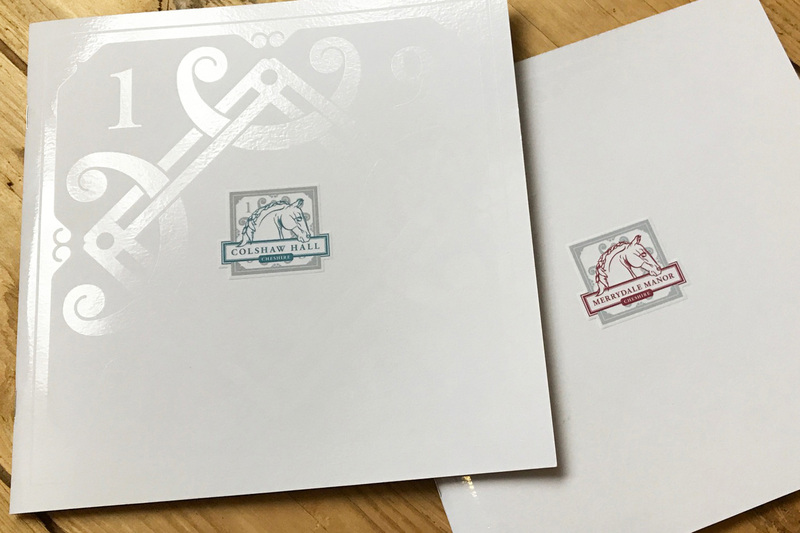 We have worked with Colshaw Hall for many years now, initially helping to create their branding and logo and then producing a variety of printed materials for them. 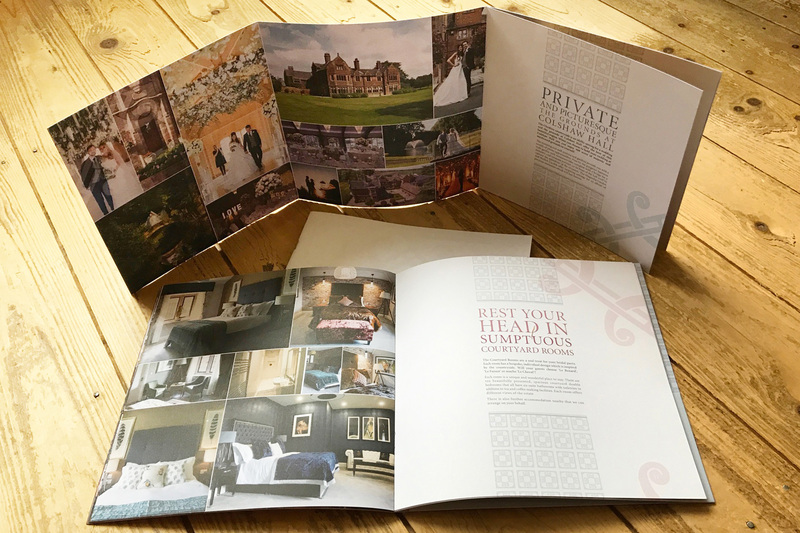 The biggest project that we work on is their brochures; these showcase each of their stunning wedding venues and are given to potential customers when visiting the estate. An evolution of this was then to create two more, smaller brochures to be handed out at wedding fairs and events to give an overview of the venues. Finally, we have also created a series of inserts for the main brochures so that the information provided can be tailored to the needs of the customer. The first design was for the main brochures for each venue. It was important that these had a luxurious, high quality feel to reflect the exclusivity of the venue itself. 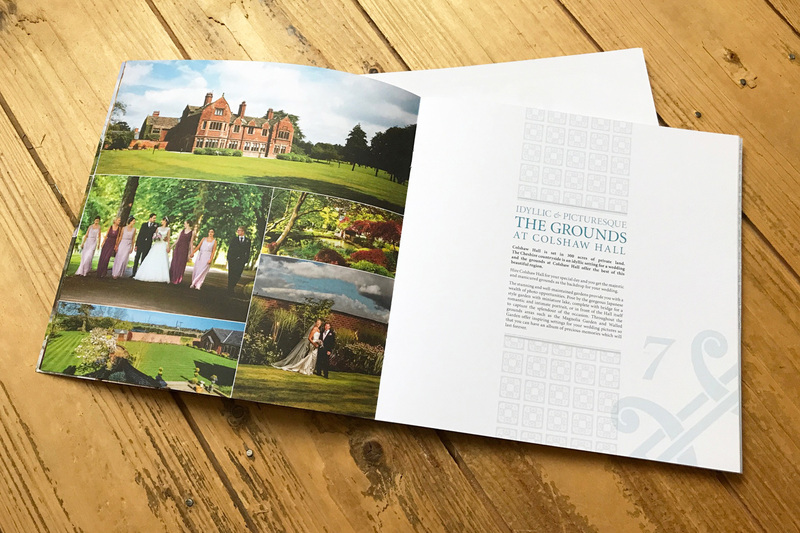 We used lots of stunning photography within the brochure to really set the scene and create an image in the customer’s mind of how their wedding could look. The typography was done in a classic style to reflect the venue’s heritage and flourishes from the logo were used throughout, to reinforce the branding whilst also emphasising the classic yet modern feel of the interiors. 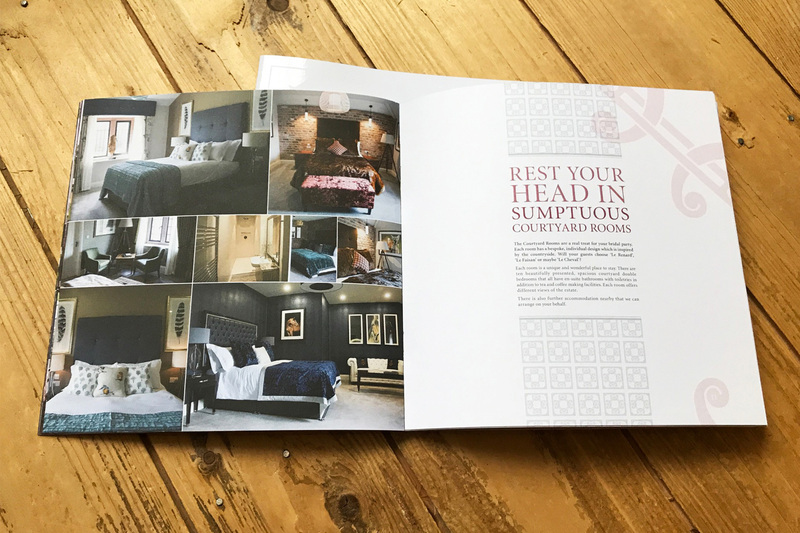 A recent challenge presented to us by the lovely folks at Colshaw Hall was to create two further, smaller brochures as a more cost-effective option to be handed out in higher quantities at wedding fairs, to provide an overview of the venues and entice potential customers. The challenge here was going to be creating something with the same luxurious, aspirational feel without breaking the bank. No worries, we love a challenge! We took the essence of the main brochures, providing just enough information to whet the customer’s appetite. Combining stylish design with some unusual print finishes, we were able to give these new brochures a high quality feel without them costing a fortune by cutting down the number of pages and using fewer print finish techniques to bring the unit cost down. We are now onto the fourth version of the Colshaw Hall main brochure, as we are provided with more and more photography and as Colshaw continue to expand their services and offers, so the brochure continues to evolve. Not only does the brochure itself evolve, but from it’s creation have come numerous other projects based upon it; advertising, flyers, web graphics, stationery and invitations. That is where the &… truly makes the difference. What you get with Williams&Crosby isn’t just a simple brochure design; it's all that and more. Contact us to see what more we could do for you.